Last week’s economic reports included readings from Case-Shiller on home price growth, Commerce Department readings on housing starts and building permits issued. The Conference Board issued its monthly reading on consumer confidence. Pending home sales and weekly reports on mortgage rates and first-time jobless claims were also released. S&P Case-Shiller Indices reported the slowest rate of home price growth in six years. January readings suggested that home price growth slowed due to easing demand. Affordability concerns sidelined buyers; participation of first-time home buyers remained lower than average. Case-Shiller’s 20-City Home Price Index charted its third month-to-month decline in home price growth; the National Home Price Index fell to 4.30 percent during the three months ending in January as compared to 4.60 percent growth for the three month period ending in October 2018. Las Vegas, Nevada led the 20-City Home Price Index with year-over-year home price growth of 10.50 percent. Phoenix, Arizona held second place with 7.50 percent home price growth. Third place was tied by Minneapolis, Minnesota, Charlotte, North Caroline and Tampa, Florida with 5.10 percent growth. This tie suggested that home prices were leveling out, and west coast cities were notably absent from the top three spots after home prices rocketed to historic levels in recent years. Commerce Department readings for housing starts and building permits issued were lower in February. Housing starts posted on a seasonally-adjusted annual rate of 1.162 million starts. Analysts expected 1.201 million starts based on February’s reading of 1.273 million housing starts. Single-family housing starts fell 17 percent in March. Regional readings for housing starts were mixed: The Northeast reading was 30 percent lower; the Southern region posted 7 percent fewer starts in February and housing starts in the West fell 19 percent. The Midwest posted a positive year-over-year growth rate of 27 percent for housing starts. Fewer building permits were issued in February with 1.295 million permits issued as compared to February’s reading of 1.317 million permits issued. While some of the slowdowns in housing starts and building permits were likely related to winter weather, real estate and mortgage lending pros continued to count on home builders to provide more homes to ease housing shortages in many cities and metro areas. Pending home sales were lower in February; the National Association of Realtors® said pending sales were 1.00 percent lower in February, and those pending sales had declined nearly 5.00 percent year-over-year. Pending sales represent home sales for which purchase offers have been signed, but not completed. Lawrence Yun, the chief economist for the National Association of Realtors®, said a shortage of available homes in the West coupled with rapidly rising home prices contributed to lower pending sales numbers. Average mortgage rates fell to their lowest readings in ten years last week. Freddie Mac reported that rates for a 30-year fixed rate mortgage averaged 22 basis points lower at 4.06 percent; the average rate for 15-year fixed rate mortgages fell 14 basis points to 3.57 percent. Rates for 5/1 adjustable rate mortgages averaged 3.75 percent and were 9 basis points lower. Discount points averaged 0.50 percent for 30-year fixed rate mortgages, 0.40 percent for 15-year fixed rate mortgages and 0.30 percent for 5/1 adjustable rate mortgages. Lower mortgage rates are expected to prevail as the Fed announced its decision not to raise the target federal funds rate range in 2019. Consumer confidence fell to an index reading of 124.1 in February as compared to 131.4 in January. Analysts expected an index reading of 133, which indicates that consumers have less confidence in current economic conditions. This week’s scheduled economic news includes readings on retail sales, construction spending and labor sector reports on jobs and national unemployment. 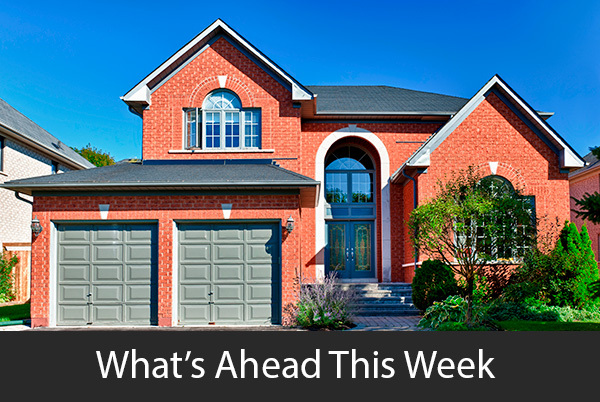 Weekly reports on mortgage rates and first-time jobless claims will also be released.